The City of Regina's community and protective services committee meets Thursday to discuss banning flying lanterns within city limits as part of a broader discussion around amendments to the city's fire bylaw. That UFO could actually be a fire hazard. 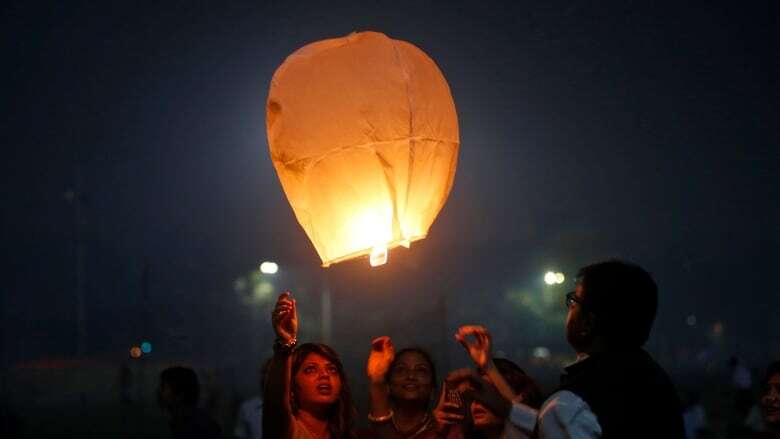 The lanterns are made of paper and are similar to hot air balloons, but they can drift up to three kilometres from their starting point, depending on the wind, a city report says. The lanterns, sold in and around Regina, have been linked to fires in the province, the report says. That's why it recommends that launching the objects within city limits be prohibited. If the bylaw amendment is passed and someone is busted launching a lantern, the city could slap them with a $300 fine, which could be knocked down to $50 if payment is made within 14 days. The proposed fire bylaw amendments also involve a host of potential new fees, including charging for false fire alarms, fees for inspecting facilities, and new permit fees for open-air fires and selling fireworks, as well as changes that would force landlords to inspect smoke detectors before a tenant moves in and after the rental unit is vacated.